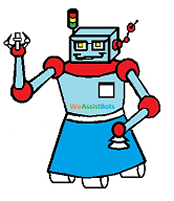 Receive high-quality professional services from WeAssistBots.LLC based in Boise, ID. Whether your robotic application is large or small, our team of robotic masters can provide the correct robotic solutions to meet your needs and to get the job done right. Our track record for consistent timely service and application expertise make even the most insurmountable tasks possible to overcome with a little robotic assistance. Our multifaceted company is here to assist you by providing a wide range of traditional and collaborative robots, associated equipment, tooling, and the training to support these applications. To speak with one of our robotic masters, simply click on the Contact Us tab on the top of the page. Click on the logo below to see what Fanuc has to offer!